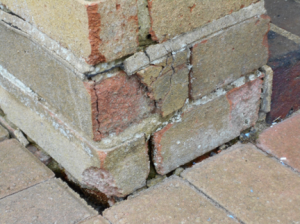 I recently undertook a structural survey of a house in Sittingbourne. The property had been checked previously by a surveyor for the mortgage company and no major issues arose from their inspection. 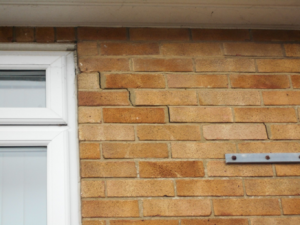 During my inspection I found numerous faults relating to building defects and in particular a crack at the front of the property. The crack at the front is what I will focus on. I suspected that this fault was caused by lateral movement issues as a result of the roof being poorly constructed. I went into the roof space and I noticed that in the part of the roof over the crack the ceiling joist not connected to the rafters, there was no triangulation in that part of the roof which meant that it could spread. In my experience, it would be normal for rafters to be connected to ceiling joists to prevent this spread. Fundamentally, I believe that this was the root cause of the problem. I also noticed at the front of the property there was a channel drain near the front wall. It was the intended that this would absorb water from the drive. 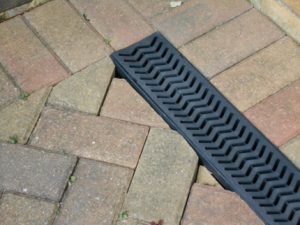 The workmanship around the channels was extremely poor and this was causing water drain directly under the channel and into the foundations around the front of the property. There was a central porch area on the front of the property that had masonry piers. I noticed that these piers did not have any drainage around them and water was allowed to drain directly between the paving and the pier. Due to the surface area of the drive extensive amounts of water were being allowed to drain in this way. This poor detail had potential to again weaken the bearing capacity if the soils below foundations. 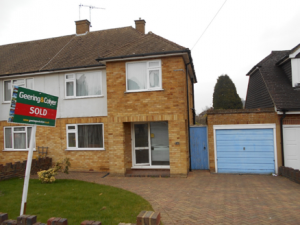 With the report and advice that we produced the client was able to negotiate a reduction in the purchase price.